Re-entry: not for the faint of heart. After days of bliss and only having to tend to myself, I find it difficult to return to everyday demands, including a very independent child whom, I suspect, may be subconsciously punishing me for having left her. What I am holding onto is the wisdom I received last week. Wisdom that seems so clear in the midst of nuns, convents, solitary cabins, walks in the woods and journeys through the labyrinth. Those pieces begin to fade under the pressure of the every day. I want to describe one of those peak experiences mostly so I don't lose it, forget or doubt its occurrence. I awoke Friday morning with a start and heaviness of unsound sleep. The tap-tap-tap of rain on the metal roof tortured me all night and, upon opening my eyes, fear began to grip me. Just, what exactly was God asking of me? To get a space to do more of my turtlebox work: art, classes and opening to under-served kids. Seemed so easy while in a euphoric state. But in the glare of normality and the darkness under my eyes, I was afraid. I did know it was time to leave, time to re-join society; that my work here was completed. I also knew I had to handle this doubt, so I threw on some clothes and walked the labyrinth; the same place I had left a prayer the day before asking God to "teach me how to give with abandon." I anxiously paced to the center, not even remembering the journey, then sunk onto one of the three stumps. Tears formed as I articulated my fear: that I could not possibly do this. What if I don't have the energy? What if I am too isolated? How do I build community? How and where do I ask for help? Why did you have to show me too much, this is scary? Of course, I constantly pray for clarity and I got it. Maybe too big of a chunk. Let me in; I am always here. 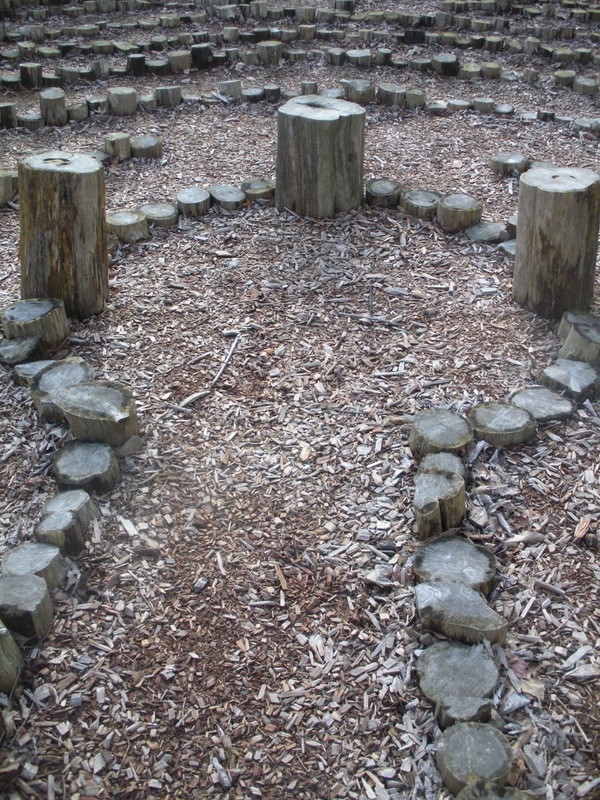 I exited the labyrinth wet-eyed and in need of companionship. There was none. So, I packed up and, as I was schlepping compost to the bin, Elaine, the resident hermit/nun returned from the motherhouse. I knocked on her door and choked out an "I need to talk to someone." She invited me in, offered a listening ear, kind heart and tissues. Her summation was crystal: "Well, aren't you glad you got kicked off the mountaintop while you were still here and it was safe?" • How have I experienced the transition from retreat to daily life? • How have I learned to incorporate those divine experiences into my life? • What prayer answer to doubt and fear have I ever been given? • How do I experience the presence of God/Spirit or Jesus? • Have I been called to share those experiences? In a dream, I am sitting at the end of several rows of stackable chairs whispering something in God’s ear, then I slump back , clearly dead. I don’t know my exact words, but I release something and I feel the ache leave my heart. This was a waking dream during a centering-prayer session and I literally feel the release of my heart. I know I have died, surrendering what I had been holding onto. The change is palpable. Divine love is compassionate, tender, luminous, totally self-giving, seeking no reward, unifying everything … the experience of being loved by God enables us to accept our false self as it is, and then let go of it and journey to our true Self. The inward journey to our true Self is the way to divine love … The growing awareness of our true Self, along with the deep sense of spiritual peace and joy which flow from this experience, balances the psychic pain of the disintegrating and dying of the false self. As the motivating power of the false self diminishes, our true Self builds the 'new self' – the motivating force of divine love. '[I pray] … that you … may have strength … to know the love of Christ that surpasses knowledge, so that you may be filled with all the fullness of God.'" I am certain it can get no clearer than this for me. I am whole-heartedly searching for my true Self, casting out whatever it not truth. This dream happened yesterday and since, I have experienced the spiritual peace and joy, which balances the psychic pain of the disintegrating and dying of the false Self. I believe that is the pain lifted from my heart and it was real. This revelation has caused me to question just about everything, including this so-called book I am pushing forward on. It feels oppressive right now. I cling to it merely for identity and to show some amount of productivity. Yes, I am called to spiritual-nurture ministry and the concept of the turtlebox [nurturing space within ourselves to welcome the divine], even teaching and facilitating it. And, maybe completing the book some day. But I think I clutch it because being a writer has provided me an identity for a long time. It’s much scarier to think of myself as a teacher, unacknowledged territory, or an artist with a message. I’ve always said art is what is in my heart. Words come from my brain. They’re easy and the way I have made my living. They buy my way into the business world. What if I want to be part of a different world? One more on the fringes and cutting edge? Means I have to let go of what is false. • What moments of truth have I experienced? • What circumstances allowed them to happen? • What of my false self was revealed? • What of my true Self? • Where am I currently in that dance? As I was grabbing a few things to pack for this retreat, I uncovered the Journal of [Quaker] John Woolman and decided to leave it behind as I had enough books to tote. My mother, not a Quaker, had recently been cleaning, found the copy and passed it on to me. Eventually, I thought, I’ll read it, but not on this retreat. Besides, I was heading to a convent, nowhere Quaker. 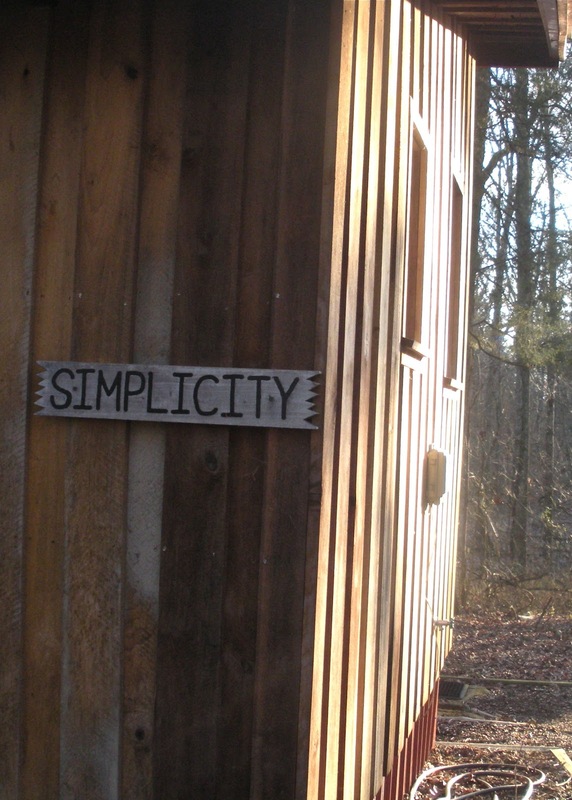 In a welcoming e-mail, Susan, the retreat director, said I’d be staying in a cabin called “Simplicity.” Perfect, I thought; sounds pretty Quaker. 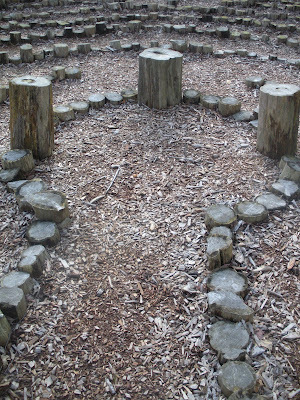 While scouting out my one of the seven cabins, I came across, “Hope,” “Wonder,” and “Namaste´,” before uncovering mine. Why was I assigned Simplicity? I asked myself. Surely any of the others seemed to hold more significance for me: hope in figuring out my next steps in life, wonder at spending quiet time in nature and with God, Namaste´ because I practice yoga regularly and adore that word. 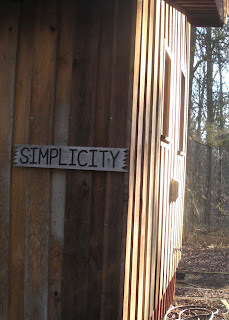 Of course, I always want to simplify, but that wasn’t my intention for this retreat. That’s such a mundane, everyday kind of thing. But, come to think of it, I’m not really clear what my goal is, except to get away alone and write. As I was settling in, Susan came by and welcomed me and, as she was providing a rich and endearing history of this commune of hermitages, permanent dweller Elaine arrived, asking Susan to move her truck. We were introduced and I was drawn to look Elaine square in the eyes and hold that gaze while saying: “I was led here.” Woops, that surprised me. She had a knowing face. Our gaze broke and she was off. So was Susan and I explored outside on my own. After a rigorous afternoon crossing creeks, pausing at the labyrinth and peeking at the other, unoccupied cabins, I headed in to grab some tea and reflection time prior to the 5:30 daily prayer in the chapel only a few steps away. This is perfect, I told myself. I picked up a journal with entries from others who have coveted their time at this cabin and was immediately mesmerized. One kept quoting Prevallet, who had some petty insightful things to say about simplicity. 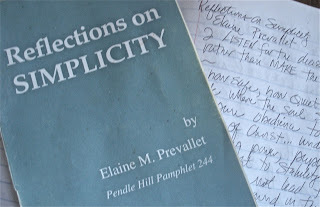 I soon discovered this author penned a Quaker Pendle Hill Phamplet entitled “Reflections on Simplicity.” This writer was a nun with a wonderful theological education (Ph.D) and a year spent studying Zen Buddhism in China. She also happened to teach spirituality and Scripture during a two-year tenure at Pendle Hill, a Quaker contemplative community near Philadelphia. I mentioned to Susan after silent prayer that I had noticed the simplicity pamphlet. “Oh, yes,” she responded. “Elaine wrote that.” The Elaine with whom I’d shared a deep moment upon arriving. The synchronicity was a little too uncomfortable. In that same conversion, I also learned that a member of my Quaker meeting, Pauletta, had just spent time here. Spooky as I had brought her book of poetry, the gift of a small-press publisher/friends who had given it to me for my birthday though we’ve never really verbalized our Pauletta connection. I’ve known these friends well before I was ever Quaker. After prayers and before and during dinner, I dove into the book on simplicity. Elaine's words, like her eyes, immediately reached in and grabbed me with “I listen for the decision rather than make the decision” in a discourse on basing them from your center, the place connected to God. And then she began to quote from John Woolman’s Journal. You know, the one I didn’t bring. And then I read more things that are exactly what I need to hear to discern my next steps and it really is all about simplicity. So I am here, where I am supposed to be, savoring every moment. This is retreat. • How have I experienced synchronicity? • How long did it take me to connect that it was? • How am I more open as a result? • What’s the synchronicity of simplicity in my life? • What is my usual mode for decision making? Lost identity or blank canvas? Express your anger, two people I love and respect have told me … more than once. I seem to chip away at it a little at a time, but there was still a locked trunk, wrapped in chains, sunken in the root of my existence. It held every incident of pain and injustice I have experienced. Locked away. And something would seep out and I would lash out. Sometimes just by myself, sometimes, inappropriately, at others. I am not certain I understand this anger. I’ve made lists and it always goes back to not getting what I want: understanding, acknowledgment and pain preventing me from my real work. How deep does it go, God? To your root, where it’s stuck. How do I get it unstuck? Give it attention, love and surrender it to me. Pretend it’s not you. Let it gently dislodge and come up through you. Do this now. And so I did, letting screams and sobs emerge, begging, pleading with God/Jesus to take this away … without violence to my body. I’ve had enough of that. I found myself in child’s position, bowing, on my dirty studio floor and asking that this anger, this locked box, be taken from me. Then I surrendered it because something told me I must. “I will,” was the response. • What role, if any, does anger play in my life? • How does it control me [if it does]? • How can I surrender that to God? • What is my experience of surrendering anything to God? • What is my current prayer? Not only am I beginning to see my life as a metaphor, I am experiencing it that way and I wonder if this is real detachment. This perspective of symbolism has been eeking its way in for awhile, providing crucial insight and helping me be more the observer in situations where I am too enmeshed. Now it's occurring in real time as events unfold and not merely as I look back. Take my 53rd birthday party, for example. Out of the blue, I decided I wanted (needed) a party and asked my husband and best friend. They were more than willing. And when my spouse asked whom I wanted to invite, I e-mailed him a most impromptu list. In hindsight, I recognize what a gift this was: inviting people I really wanted (and who were available and nearby as this was last-minute) and none out of obligation or responsibility. I basked in the wonderfulness of this particular group during the party as they intermingled, some never having met before. I even remarked that it seemed like a dream because, how, otherwise, would this specific collection have come together. I was detached and able to see how each person there has brought her/her gifts to my life and the difference in me that has made. It touched deep gratitude in me as I have been nurtured in some way by each of them. Perhaps that was the nudge to request such a party. Removing oneself from a situation and viewing it metaphorically improves context and clarity. As a trained journalist, this has been a tool I have often applied to others and situations outside my own. As a marketer, it is typically easy for me to visualize and map a path for another company. 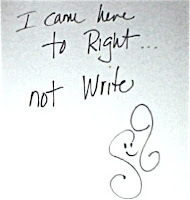 In journaling, I have learned to do it looking back on my life. And, joyfully, in the present, I am able, perhaps through grace, to use this perspective now ... sometimes. A new group I am attending is about accompanying the dying and we are collectively discovering that learning this type of companionship is also learning how to live. I think it, too, weaves in the detachment/objectivity factor and looking for the patterns in our lives. If we can delve into the shadow [and what greater shadow is there than death? ], then we can explore all parts of ourselves ... even the ones we know least and fear most. The ah-ha moments seem to happen more frequently and on deeper levels in this observer mode. Yesterday, for example, was my regular shamanic-counseling session. I floated in on the wave of a wonderful birthday and spilled that in reading a book on button pushers, my biggest foe is not human, but the psychological and physical trap of fibromyalgia. A passage in the book suggests that we often let our button pushers control us and BINGO, that's when the hairs stood up on my neck and I understood my feistiest controller. So, of course, being with such a wise and loving shaman, we went deeper and I received a very important revelation, one I realize will take some time to sink in, process and open to. Afterward, when it was time for bodywork and before my therapist (lucky me that my massage therapist and shaman are one in the same!) returned, I felt a physical presence lay hands on me and then a warm, gel-like layer permeate my entire backside, causing tingling and comfort from my toes to the base of my spine, even in the palms of my hands. This was no metaphor. It was real and it was healing. Currently, I am sit resting in this, but I sense some form of detachment led me here. I am grateful. • When have I experienced detachment? • Has it been a process or rare flashes? • What role do I believe grace plays in that? • What am I currently processing or sitting with? • How can I nurture my own openness to detachment? In a recent Bible study, I could not keep myself from asking, "What, exactly, is the Holy Spirit?" when the group sped through (well, at least I thought so) a discussion of the Trinity. You could have heard a pin drop. I had anticipated the reaction, but could not help myself. I've never really been able to understand it. I know the intellectual definition, but I want to really know this. I refrained from also asking where the Mother was in the Father, Son and Holy Spirit. Somehow, I am certain this group of experienced women has questioned that themselves. The first response was "part of the Trinity." Which part, I wanted to know. God's Spirit, I think someone said. I explained that question had been raised several times in Quaker groups I've attended and also that Quakers believe there is that of God in everyone. That resonated with this Bible-study group. We sort of settled on the fact there are many aspects of God and this may have been a way of addressing that. Shortly after, I began reading about the Christ. That's another concept that has been rotely drilled into me. One I wish to make my own. Is Jesus the only Christ? I have wondered. What does Christ even mean? An enlightening comparison of Exoteric (outer expression) and Esoteric (inner teaching) Christianity that my friend and spiritual mentor gave my, compiled by the Rev. Jan Skogstrom with the Rev. Susan Hamilton, suggests those with an outer bent view Christ as one entity and those more internally focused as a human teacher and the living flame of love. I think I have always seen the duality and, perhaps, not had to define these aspects. At a rather young age, in Sunday School, we were told to ask Jesus to come into our hearts. I did and I believe the Christ was already there. I am now certain it was the Christ Spirit that whispered in my ear that my heart was not black with sin, another early Sunday School teaching. I love reading that in Jesus' "lost" years, other accounts and traditions document him traveling to Tibet, India and even China mastering other faiths. A several-year study of the Hindu Bhagavad Gita in a meditation group probably taught me more about my Christian beliefs than the Bible. So many teachings are universal. To me, they, too, felt infused with the Christ even though some elements were culturally and historically foreign. In Jesus, I am finding, the mind and the heart fused and the heart became the driver. That's what I want and what I recognized during a flash while meditatively swimming today: we all have the potential to carry the Christ because that spirit is universally available. It is a living, growing presence that did not die on the cross, but, rather, was released. Released for each of us to embody. Wow, what if we did? • What is my spin on the Trinity? • How has that changed, been shaped over the years? • What do I believe about the Christ? • What personal connection do I have to Jesus? • Does the outer expression or inner teaching call to me? So many ideas, thoughts and concepts are converging in my head, all mixed up and crying for attention. I'm uncertain where to turn first. That's why I believe I need to retreat: either for real off by myself or, until that can happen, making a daily retreat in my studio. I feel at a crossroads and I had better make my choice with complete awareness. Part of me wants change and wants it now, no matter the choice and another piece, perhaps the wiser, says wait and do the work first. Acting now could be a reaction to so much busyness last month. 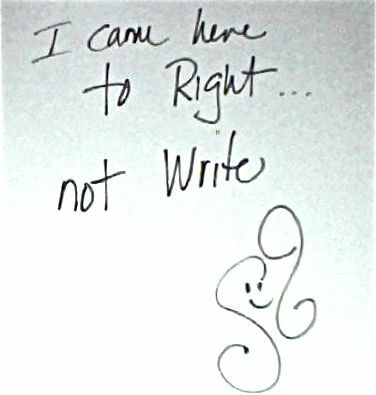 Last January, I retreated via a friend's gracious invitation to her condo in Bloomington, IN, and had a marvelous time writing like a madwoman, enjoying my own company and keeping whatever hours and rules (or lack of) that I desired. I do crave solid time to write. I have completed teaching eight chapters in my book – the entire experience was a glorious gift – and feel the strong urge to translate that into a better manuscript. I also need to plan and schedule the next eight. Yet bigger things are calling. Like figuring out my real purpose and sacred contracts. Studying the archetypes that influence me and using other new [to me] tools, such as astrology and Scripture, to guide my discoveries and decisions about what happens next. I am just back from a wonderfully full and rich meeting with my spiritual friend/mentor/teacher. She was a whirlwind pulling various articles, charts and study guides from her poke. I needed her whirlwindedness as well as her understanding. I was able to tell her something I've only mention to my spouse, an ugly thought that seems to be driving me and robbing me all at the same time. She validated my anger and suggested I really let it out instead of letting it dribble out at times that may not be so appropriate (she also told me not to judge those). She said a rubber hose works well for expressing anger. It made me laugh and reminded me of the time a rather new writer friend and mentor told me that power tools are great for expressing frustration. Thinking of these three (including the friend with the condo) as well as beginning to work with my archetypes has led me to see all of the wise and wonderful helpers I currently have in my life; some who even surprised me when I jotted them down. I am blessed with healers and mentors, nurturers and truth-tellers, companions and guides, sages and listeners, angels and mystical children. The list is starting to make me wonder why I want to be alone! • Do I currently feel any need for retreat? • How can I manage that in some form? • Specifically, what am I being called to in such a retreat? • What tools or others could guide me? • Who are the current helpers in my life for which I am grateful? A New Year and new thoughts crowd out the pattern of itching to busy myself after a long holiday season. That's a good thing. My family witnessed my whirlwind-organizing-and-pitching campaign over the past week. They, mostly, stayed out of my way. I have had rare weeks of good, solid sleep. As a result, I would bound out of bed ahead of anyone else and not stop until my head hit the pillow at night. I have been so productive de-junking and de-cluttering. It has felt cathartic after the stagnancy of too many festivities and obligations even though they have been trimmed out of simplicity. But that's an old pattern. One I had better learn from or I will find myself right back down in the no-energy hole. So right now, I am in contemplation and examination mode. That also always hits after the holidays and, often, like today, when the kids get back to a routine. I want one, too, but also need space to decompress. Today's agenda was simple: hit the pool, come home and spend some time in prayer, reading and reflection. This blog is part of that reflection. I stopped reading and journaling when I hit a BIG opening, which I will relate in a minute. Last week, while at the library, I stumbled onto a copy of Caroline Myss' Sacred Contracts book. Though I was not specifically looking for it, it was no accident. Ever since I had a past-life, astrological report done in November, I have wanted to understand what my work/contract is. I know parts of it and have an inkling for the bigger picture, but am a bit stuck as far identifying the next step. And my worldly exposure still rears its head begging to know what it is, exactly, I am doing in a secular sense ... besides naval gazing (and parenting, living with a chronic condition, working on a book, facilitating a nurture group, etc.). I am having a hard time putting the book down. The first thing to strike me was the idea of forgiveness. That's a recurring subject for me. I even co-facilitated a forgiveness worship that was powerful. But Myss' spin is that opting not to forgive can create unhealthy energy patterns. Wow, that sounded a powerful chord in me. She also furnishes the example of a young man frozen in inaction, a place I know well. She writes that he remembers a time before his birth and parts of his contract. That knowledge renders him unable to act. I believe I am frozen more because I am not yet ready for action. Myss uses the Christian tradition (along with Jewish and Buddhist) in a way that captures my attention rather than diverting it. So much Christianity has become rote to me and the reason Quakerism's emphasis on the experiential resonates so deeply. I want to know God, not be told about God. But I am particularly taken with her examination of Jesus' life. I have always been drawn to Jesus: as a child and as an adult. I once had the experience of walking in his body and was so grateful for Marcus Borg's delineation between the historical Jesus and the mystical Jesus. I want to know the mystical Jesus more intimately. My past-life report also said Jesus was my model and guide. No kidding. My Myers-Briggs type is the rarest and the one many calculate Jesus would have had. Kind of makes me giggle because, at times, I feel so far removed from Jesus, but at others, so close. Myss suggests that when we become conscious of our contracts, we break away from the general (secular) mindset and that Jesus' "outsider status marked his public ministry." I often feel like an outsider. I could bore you with more passages, but the point is, I am supposed to be reading this book as I ponder my next step in life. I screeched to a halt when I read about how Jesus released his pain and psychological suffering (often deleted from some Bibles because it makes Jesus seem too human) to God before the crucifixion. That IS my next step: to release my pain and suffering to God. You don't have to fix anything. You've given me your heart and body. will heal it. Thats been your battle. Surrender your wonderful, but weary, mind to me. Let Jesus be your example. Oh yeah, forgive. That's what Jesus did from the cross. I would be honored if you would hold me in prayer at this juncture of the journey. I don't know how to surrender that part of me, but I desperately want to. • Where am I right now, in the new year? • Is action calling me? • How/where do I find space for contemplation and reflection? • What wisdom is being offered to me? • What is my prayer for the current leg of the journey?